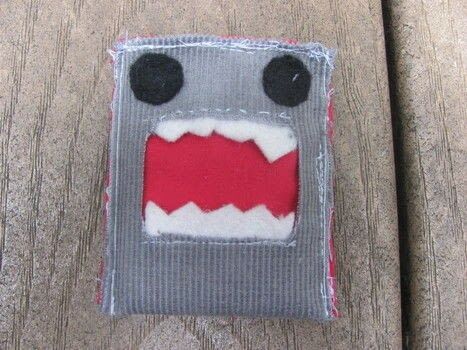 I sort of free-handed this ipod case, and I made the mouth part of the red lining. Also, I only had grey corduroy- no brown fabric! And..let's just say the style was.. "rustic". Hehe. Nevertheless, I think the domokun case turned really cute.